Be an authority of fire risk based on a strong statistical evidence base; this is one of the aims of the European Fire Safety Alliance. For this reason the EuroFSA started a project to obtain European risk profiles. 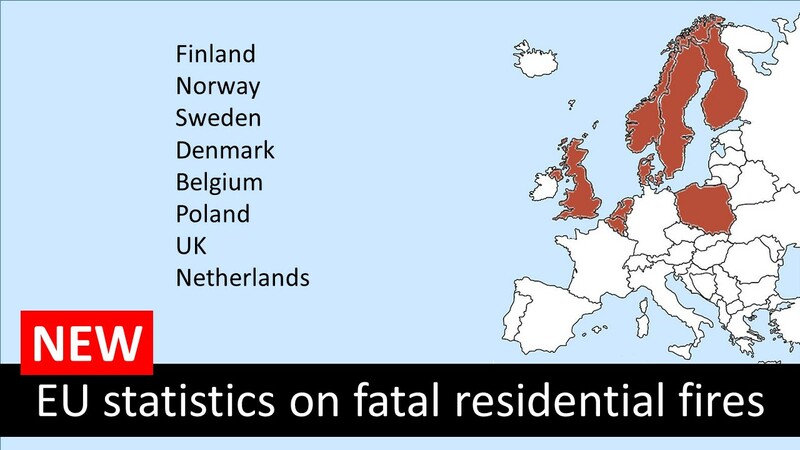 The first phase of this project explored the amount of information already available on fatal home fires in designated European countries (Finland, Norway, Sweden, Denmark, Belgium, Poland, the UK, and the Netherlands). With this, risk profiles at country level and at European level could be drawn up. Explore these new statistics on fatal home fires in the preliminary analysis in the presentation of René Hagen, professor of Fire Safety at the Dutch Fire Service Academy. This project will lead to European fire risk profiles on residential fires, which could serve as the base for future prevention programs.